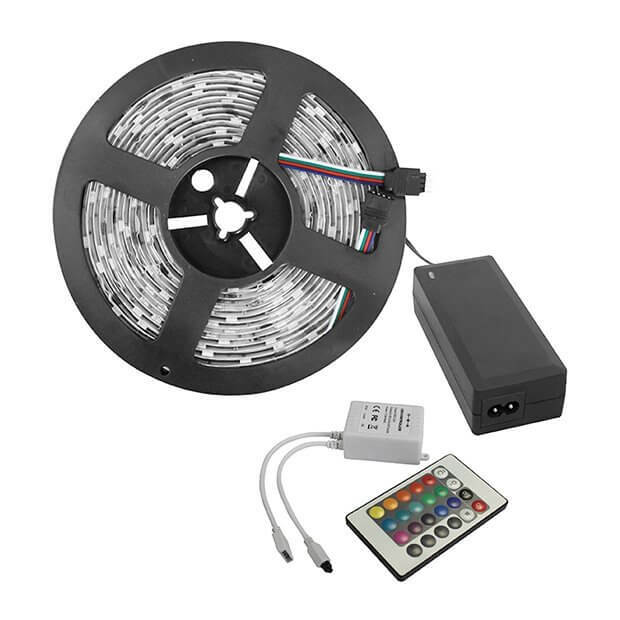 The Visio Install kit is supplied complete with 5m of 150 LED 5050 RGB tape, a controller with 24 key IR remote and mains power supply ready for installation. 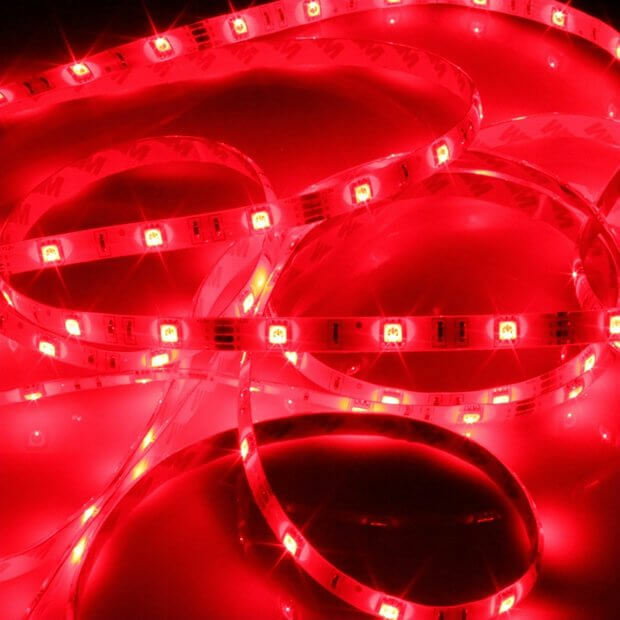 These ultra bright colour strips have an IP54 rated protective resin coating and give a bright constant smooth effect and can be fitted where a continuous linear halo of light is required. 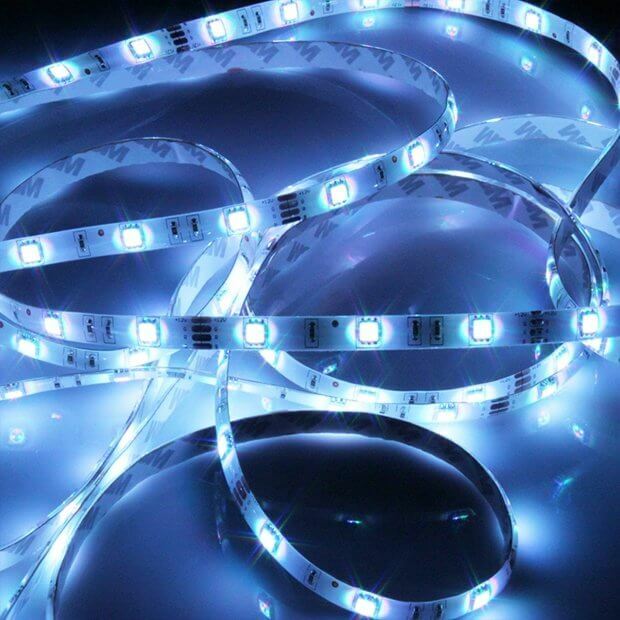 The Visio Install kit is supplied complete with 5m of 150 LED 5050 RGB tape, a controller with 24 key IR remote and mains power supply ready for installation. 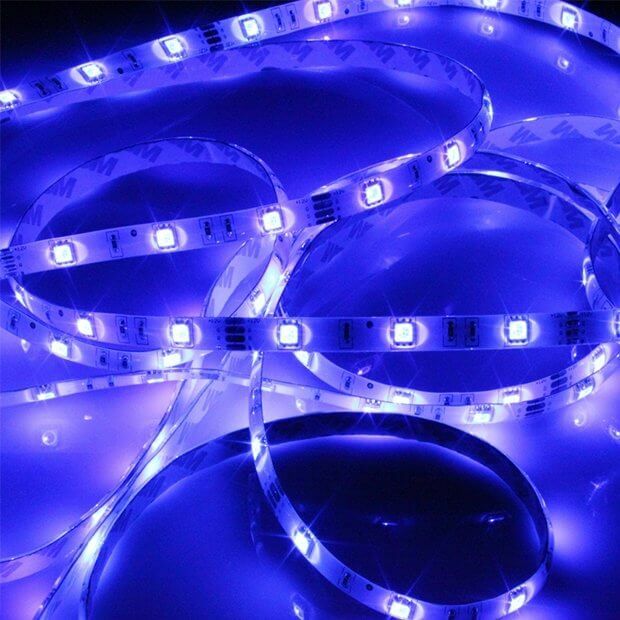 These ultra bright colour strips have an IP54 rated protective resin coating and give a bright constant smooth effect and can be fitted where a continuous linear halo of light is required. 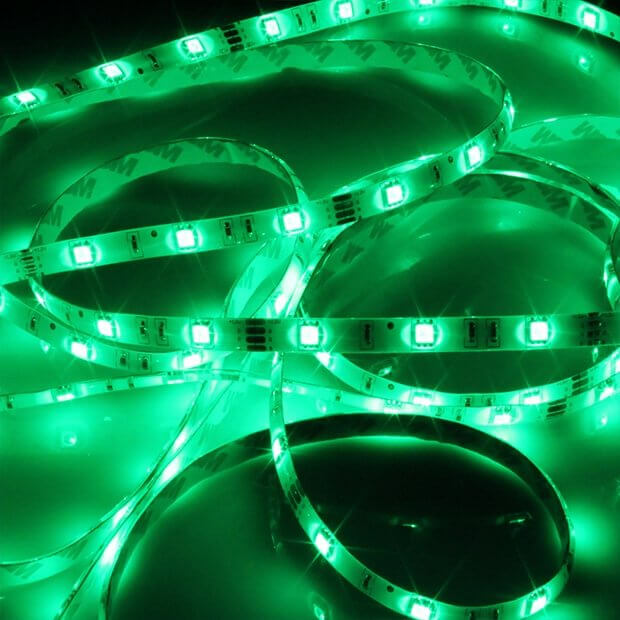 This LED tape can be cut at every 3 LEDs (50mm) and is a 12V system. 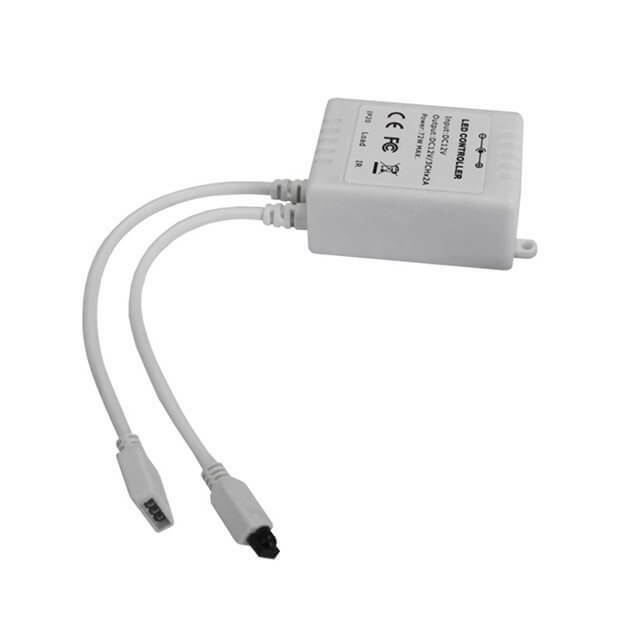 The controller allows you to select from the built-in RGB programs via the IR remote. 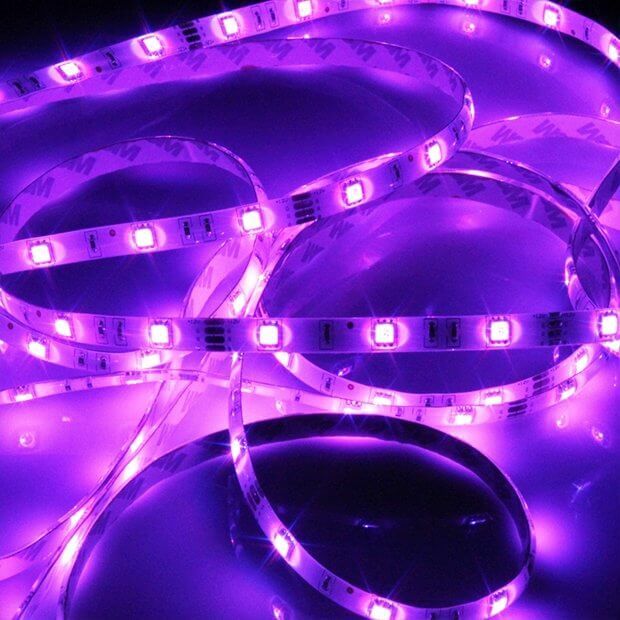 Each of the built-in programs can be set to a preferred speed and any of the static colours can be set to a preferred brightness by using the brightness/speed control buttons.